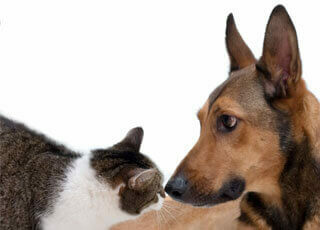 If your pet is having an emergency during regular business hours, please contact us by phone immediately. If time is critical, please bring your pet to the hospital immediately. If you can call us by cell phone when you are en route, it will enable us to be prepared for your pet's arrival. If your pet is having an emergency after regular business hours, holidays, or at night or weekends, please contact the PET ER at 865-693-4440. The PET ER is staffed from 6:30 PM to 7:00 AM weeknights, and is open all weekend. They are located in West Knoxville, one block west of the junction of Pellisippi Parkway and Kingston Pike. While we realize this is about a 1/2 hour drive from most Seymour locations, this hospital is fully equipped and provides an outstanding level of care. It is the only emergency clinic that we can recommend with enthusiasm.